CubeSmart Vista is clean and seems very secure. The team was great but their software system loss my reservation for a few minutes. The offer flatbed hand trucks and have elevators if you prefer indoor storage which is all on the second floor. Clean, fast, simple to get to. Staff was very helpful and moving in was very simple. Carts were provided. Plenty of parking space for a moving vehicle. Elevators are locked with a passcode. Very satisfied with my decision. The overall facility is very clean and well maintained. Customer service is lacking as only one employee was present and had to keep kicking everyone out of the office to lockup and go out on the grounds. 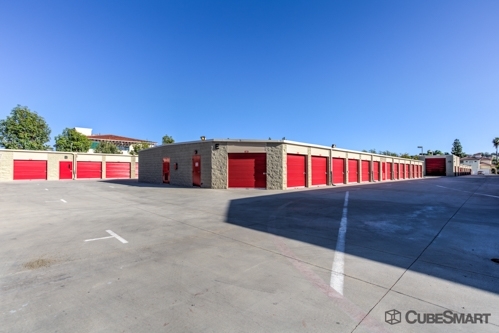 Price is decent compared to other storage facilities in a 15 mile radius. Our storage search ended here! Very polite & respectful staff. Great service in what I needed for a storage unit. Very smooth and easy process opening new unit. Clean and not infested with homeless. Was able to fit my 1 bedroom apartment worth of household items in a 7x10. Got great discounts from promo and being active duty military. quick and easy to make reservation. Representative was very nice. My unit was clean and in a convenient location. Very clean facilities good location customer service very good . Nice facility clean good location security good. Very happy and convenient for me. I had a good experience in a short amount of time. Friendly staff, clean facility with competitive rates. When I finished setting up my lease, I had to unload a bunch of my stuff, but the rep couldn't find my locker. I suggested that maybe he should carry a map especially when working with new customers. Clean, convenient facility with friendly staff. Have kids regrets about doing business with them. Called ahead and reserved a spot. Showed up and was taken directly to my unit. Started moving my stuff in right away. No issues at all. I rented a 5x7 space and found it wouldn't be large enough. Moving day there was no problem up grading to a 10x10. Nice people and great customer service! Facility is spotless and employees are both helpful and professional. Lots of cameras and security, while even the second floor is easily accessible and well designed to allow for easy navigation with a full cart. Streets inside facility are wide enough for several cars or vans to park and unload without incident. Staff was great as is the facility. I had to change to a larger unit and they made it so quick and easy to do. Very friendly helpful staff. The manager was super nice. He showed me some other options & helped me save more money. Great experience. Easy to rent. Needd more moving carts. Also a map to the area that you have rented. This storage facility appears safe and clean and the managers (Tim and Jim) were very responsive and helpful. was very helpful choosing the right size storage unit..and the 1 months free was a bonus. the manager heather was very helpful! Good access. Secure. Easy to find. Cube Smart is a good choice! Heather was the best! She took the time to help me find the right unit! Clean, safe, friendly staff and free carts to use to load and unload! I have recommended this Cube Smart location to friends in the area. The staff was very friendly, there were clean indoor restrooms available (which come in handy when you are there all day moving) and complimentary carts to move large amounts in one trip. Good lighting and music playing throughout the building helped with motivation! The units were clean, well-maintained and safe. The hours were very reasonable as was the price. The toll free reservation process was quickly completed, on site staff very helpful and accomodating. 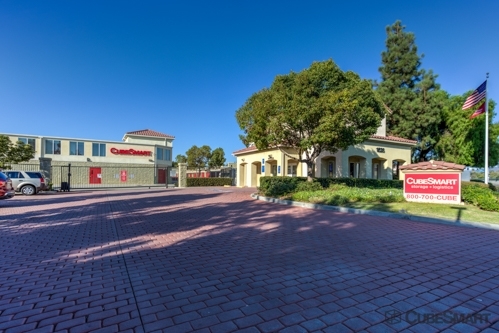 The pricing is very competitive and the unit was clean, facility is well lighted and maintained . Access hours extend well beyond other competitors. Employees were quick, helpful and saved me $! 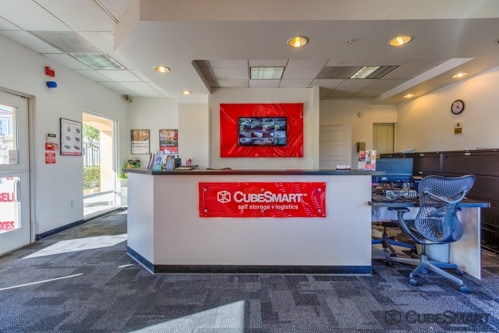 I checked out several storage facilities in the area and found the best deal at CubeSmart. I reserved my unit online and received a follow up call from Tim immediately with a reservation confirmation. I wasn't able to move the items in the next day as I had originally scheduled (due to my stuff) but they were able to hold my reservation and they even saved me a few $'s by comparing to the best deals they offer to suit my needs. A great place to store your items. I have used Cube Smart three times now and have been satisfied each time. Went fine move in was smooth so was the paperwork process. This is a nice facility in general. The people who work here are exceptional. Very courteous and friendly. Technically, the place looks nice, the roll-up door on my unit is easy to open and close and the place looks nice. I do have a problem with the elevator though. I must put in my code to open it from ground level (a layer of security that is unneeded in my opinion) and often I have to do it twice. Also the door likes to close quickly which is annoying. Lastly, the light inside my unit does not work. But do feel my things are safe and the price is reasonable. great service, polite and helpful staff. I an very pleased with our experience. We obtained the perfect amount of storage vecay see we gas expert help estimating how much room we would need. Everything went veey smoothly. I truly recommend this storage facility. 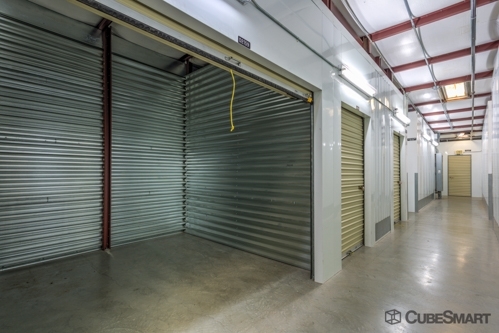 Very courteous, clean, and perfectly suited for our short-term storage needs. Got there close to closing time but they still took their time and answered all our questions. Got us in and all our needs taken care of, so far so good. Moving 3000 miles is never easy but Jim a manager at Cube Smart made things a little bit easier with the unloading process. All help was greatly appreciated and will not be forgotten. 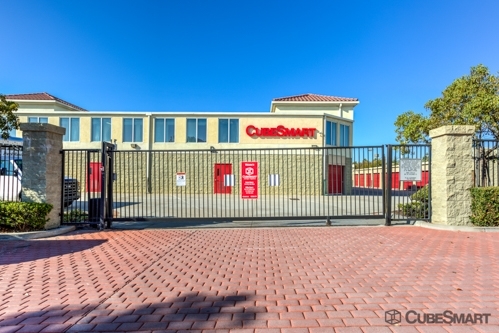 CubeSmart is the #1 Choice in Self Storage! I recently needed a storage for my most precious belongings. I did my homework and found that CubeSmart offered the best quality at the best price. Once arriving the friendly and professional staff exceeded my expections! Jim and Tim in the office are a real asset and an excellent reflection of the CubeSmart team. I am a 100% satisfied tenant! 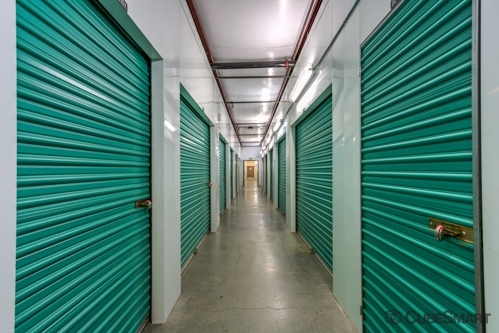 Storage facilities in general are ridiculously overpriced, and this one is no exception. It is, however, very clean and seems secure. Had some set backs but eventually but eventually got in! Had some drawbacks on personnel availability to rent a unit and ended up having to come back the next day to unload. Also beware that the unit price is not including the "insurance" of $12 or more that is madintoraly per month on top of unit price added at signing. Other than that I have my unit until I move from there. Everyone was friendly and the manager was willing to remove the extra day charge for my moving truck due to these set backs. I have no idea what ticked them off - but you can see that most of the reviews are 4 and 5 stars for a reason. To be fair, I JUST moved in - but so far, I love everything about this place except the 'hood. Clean, appears brand new, well maintained, friendly staff, lots of amenities (free wi fi and coffee??) It's such a huge improvement over my last place, I'm kicking myself for not moving sooner! I got a ground floor unit steps from the door, the gate code opener is on the driver's side (the past TWO storage places I've been required getting out of the car to punch in the code both entering and leaving! ), they're open until 10 at night and I'm getting a larger unit for less money - what's not to love?? I'll keep my eyes open for the supposed shortage of carts - but even if that turns out to be true, it's more than outweighed by everything else. So far so good. Could use more carts at the elevators. I visited the units and was grossed out. The manager told me they never cleaned except to sweep ocassionally and it was obvious. The roll up doors are caked with black grime and very stiff to operate. They take no pride in the place except to brag that it is cleaner than the one across the road! I rented someplace clean instead. Allowed me to move in early. Great customer service. Best deal in town. I would definitely let everyone I know how easy it is renting storage here. Best price around and very clean as well. Staff is very professional. This is now My Storage Facility of Choice over "All" the competition I have seen and experienced in the Area. Very nice place. I would recommend it. Great facility and very friendly staff. 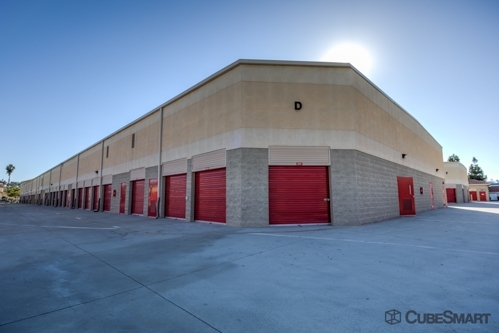 I was very happy to find this place through Sparefoot because when I did a search online, I did not find this facility. I also found out that they don't offer the same specials directly through the facility as they do by going through Sparefoot so that was an added plus! Overall, very happy with my experience and even happier to find out that Cube Smart offers a moving truck for tenants to move into their unit! Actually, they have 5 carts, not two. Available at any time. If you are able to come in before 6pm which is their closing time, they are more than willing to check you out a cart for the entire day. Just call and they will actually place one right by your unit for when you come after hours! The staff is amazing, and they match prices so if you find cheaper, they will beat it! It is a very busy facility but they have obviously been trained by the best. Wouldn't go anywhere but here! Facility may be nice and clean BUT - they have a total of 2 carts for the whole place. So unless you have time to wait, don't store there. Also, they lock carts up after office hours so you can't get to them. I am out of there. CUSTOMER SERVICE WAS EXCELLENT, VERY KNOWLEDGEABLE AND INFORMATIVE. The service here has always felt very personal. The service here has always felt very personal. I feel that my individual needs are always met & considered. Everyone is always friendly & considerate. Thats why I've been here for three years & do many referrals. I've always been treated in a polite & cheerful manner. 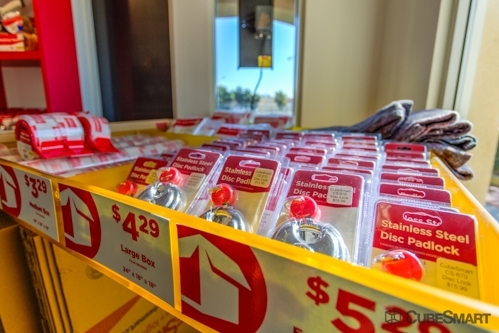 U-Store-It & it's employees have been extremely helpful, understanding, & flexible from the very first day. I've always been treated in a polite & cheerful manner. Definitely would recommend this storage service to everyone. Thanks! Praises to Roman, April, & June for their help. Without their loving care I would not have rented this storage place because of the higher monthly rate in comparision to another storage place. I totally felt at home with them with much appreciation to them. Roman was very helpful and was also very timely and nice. Deserves a Promotion! Geat service, clean facility, good rates. To whom it may concern; I rented a storage unit and a employee, Roman helped me & went overboard to accommodate me. I really am going to rent another unit, & will tell all my business associates about him.